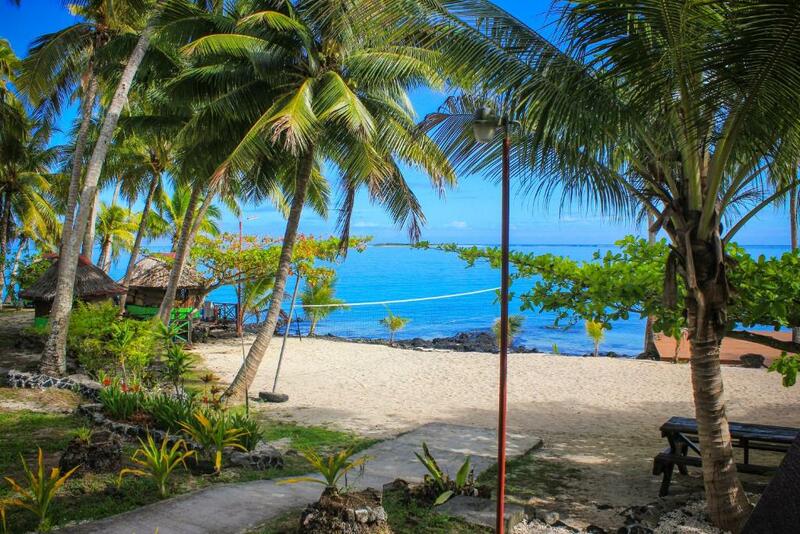 Lock in a great price for Vaimoana Seaside Lodge – rated 8.8 by recent guests! Excellent accommodation! Beautiful beach, wonderful staff! And delicious food. Definitely worth every cent!! 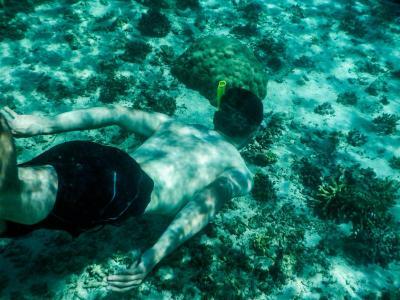 Friendly staff, some activities organized (school visit, snorkeling near the little island offshore...). Food is good (but you can't choose). Bed is very good. Staff were so lovely and helpful. I really enjoyed the visit to the village pre-school. Food was fresh and traditional, Sunset rooms had a stunning view!! 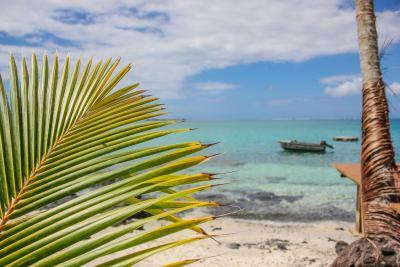 Worth a kayak out to the island as the snorkeling on the other side of the island was stunning!! 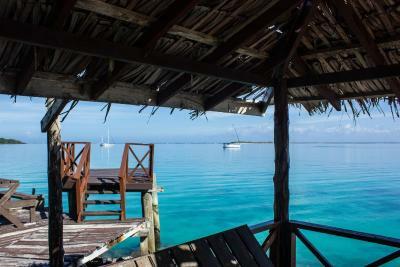 Would stay again in the overwater sunset fale with private bathroom. (although the shared bathrooms were nice enough too!) Great value for money! The staff were very helpful, for example in trying to provide us with the cheapest way of renting a car, providing a packed breakand were accommodating when my husband was ill. The first night our toilet was leaking, so they let us choose any room we'd like. 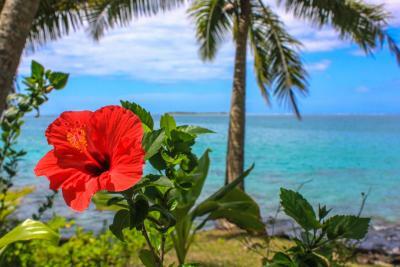 Overlooking beautiful Asau Bay, Vaimoana Seaside Lodge features traditional Samoan accommodations with a private balcony and ocean views. 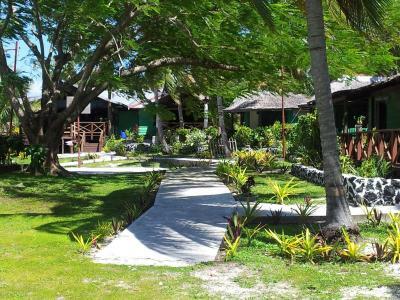 Guests choose between open-air Samoan-style fales, suites and air-conditioned villas. Breakfast and dinner included. 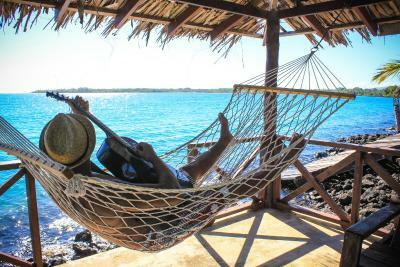 The tour desk organizes tours of Savaii Island, trips to the abandoned village of Papa Sataua, Canopy Walks through Felealupo Rainforest and visits to the famous Banyan Tree. 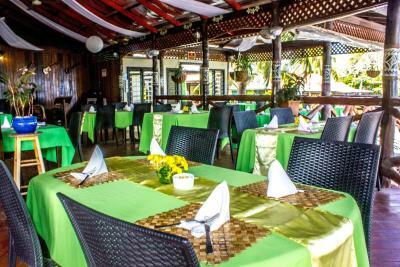 The restaurant serves your breakfast and dinner and offers a mix of international and Samoan cuisine. Dinners on the beach are available on Wednesdays and Fridays. The bar serves cocktails, beers, wines and refreshing beverages. 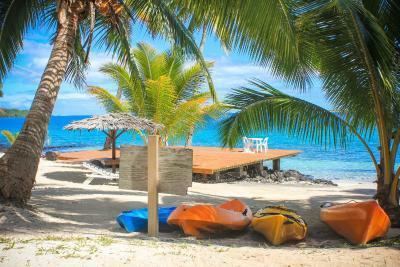 On-site sporting facilities include kayaks, snorkeling equipment, beach volleyball and rental bicycles. Peapea Cave is 17 minutes’ drive from Vaimoana Lodge. 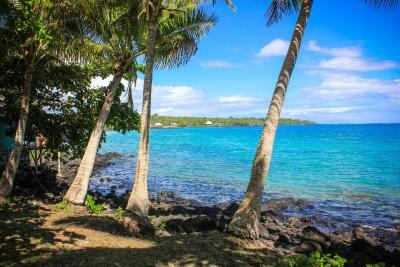 Saleaula Lava Fields are 30 minutes’ drive and Salelologa Market is a 1-hour drive away. 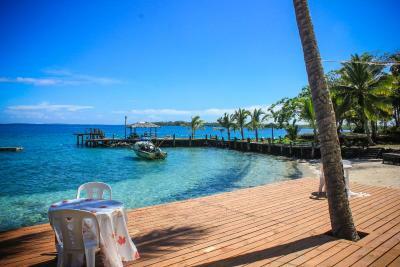 This property also has one of the top-rated locations in Asau! Guests are happier about it compared to other properties in the area. 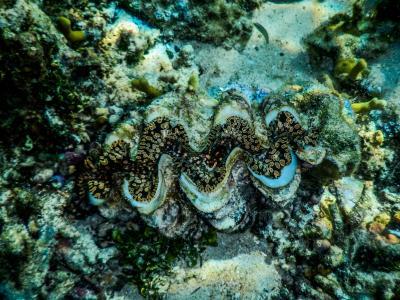 This property is also rated for the best value in Asau! Guests are getting more for their money when compared to other properties in this city. 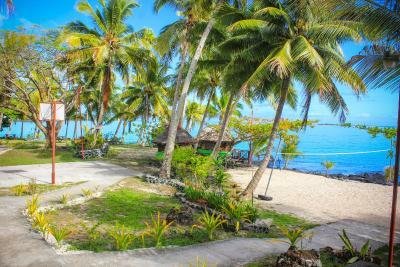 When would you like to stay at Vaimoana Seaside Lodge? Located on the water’s edge with a private deck to take in the spectacular sunsets, the Waterfront Sunset Fales offer air conditioning, ceiling fans, private bathrooms with cool water showers and an in-room mini refrigerator for your convenience. 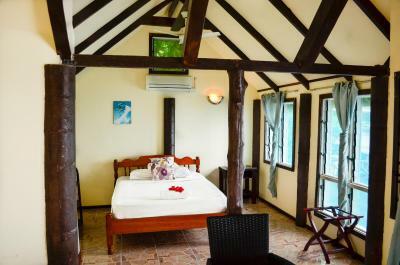 Part of the original homestead, the Tui Moana Suites have air-conditioning and private bathrooms with hot water showers. 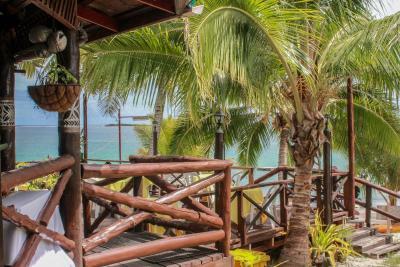 In-room small refrigerators and views across the grounds to the ocean are provided. Bi-fold doors open out to a terrace. This spacious suite features 2 double-sized beds, air-conditioning, an in-room small refrigerator and an private bathroom with fresh cool water showers. It also includes bi-fold doors, which open to a large deck, offering unobstructed ocean views across the grounds. It can accommodate 2 adults and 2 children sharing existing bedding. 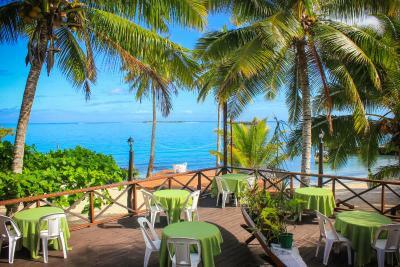 Va-i-moana is nestled into a small cove with a range of accommodation from traditional open Samoan fales to air conditioned Tui Moana suites all overlooking Asau Bay. 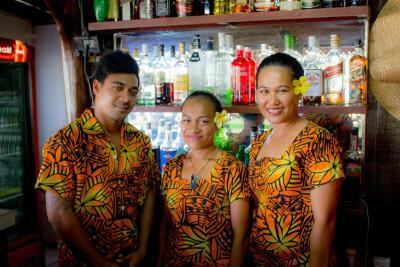 House Rules Vaimoana Seaside Lodge takes special requests – add in the next step! One child from 3 to 12 years is charged USD 24 per person per night in an extra bed. One older child or adult is charged USD 33 per person per night in an extra bed. 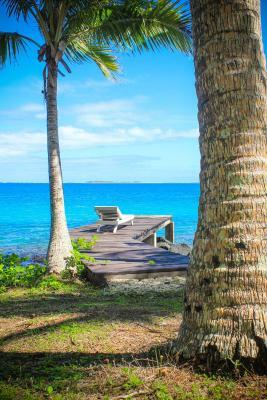 Vaimoana Seaside Lodge accepts these cards and reserves the right to temporarily hold an amount prior to arrival. Please note that there is a 4% charge when you pay with a Visa or Mastercard credit card and there is a 5% charge when you pay with an American Express credit card. Please note there are no hot water facilities on site. Transfers are available to and from Salelologa wharf at $90WST per person each way. Group transfer rates are also available upon inquiry. Please note that Vaimoana Seaside Lodge is on Savaii Island, and the International Airport is on Upolu Island. 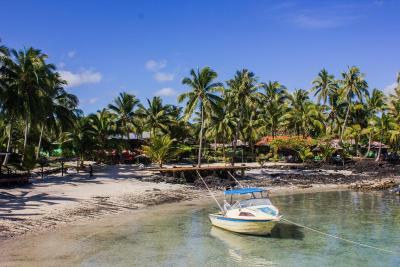 To to get to the property from Faleolo International Airport you can taxi to the Mulifanua Wharf (20 feet), then take the ferry to Savai'I (1hr), Salelologa wharf, then book a transfer to Vaimoana (1.5hrs). 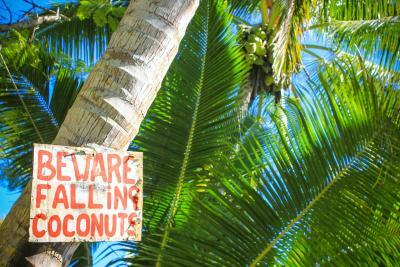 Transfers must be pre-booked with the Resort direct and ferry crossing times advised well in advance. Bare in mind that it is a 2 hour drive from the ferry (taxi costs 150 tala) and few facilities are nearby. They advertise a lot of free activities, but most of them seemed to be cancelled? Maybe because we were one of very few guests at the time.. Drinks (even water) and dessert were not included with the included dinner which we thought was a bit much especially as the rooms were not cheap. 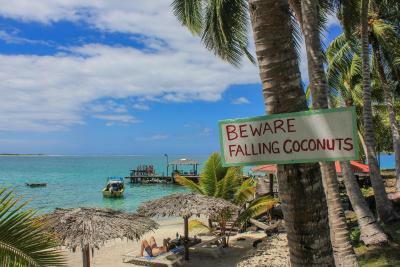 Like Samoa generally, accommodation is expensive for what you get. Very friendly staff who were ready for our arrival. Very nice location. The room did look different to the photos. There was a few holes in the wall and lights without covers on. The fan wasn’t working (button removed). There’s also a gap in the window where geckos and bugs can fly in. Everything looked good to us...quiet & peaceful. The only thing I didn’t like was not spending more days here. Had flight problems at the beginning of this trip. The food was great & all the staff were very friendly & helpful. The rooms were very cleaned & the bed was comfortable as well. Loved the location & tranquil surroundings. The rooms are standard but would definitely go again, purely for the location. Too remote without own car. Last bus to ferry terminal is 6:30AM. Taxi fare to wharf is 150 tala. I left accommodation at 5:50, luckily there was guard to open the gate. They promised to prepare breakfast box but did not. Not reccomend without car. Quiet and nice view. Good dinner. Sometimes the music was too loud. 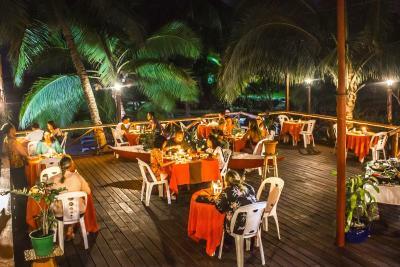 Friendly, happy and helpful staff; excellent meals; free cultural activities such as making an umu, cocoa tour, and dancing; big comfortable bed; gorgeous seaside location; hot showers; good swimming. Will have liked our towels replaced daily although this may have been hindered by our vacating the site asap after breakfast daily. Draws or a wardrobe will be awesome for guests staying longer than a day. All the Staff were attentive and really makes you feel welcome. A lot of care went into the presentation of the property and was appreciated. Loved the sunset fale we were in. Nice with the air conditioning. Sitting on the deck overhanging the water was great. Out there a line is provided to dry clothes. No pegs though. 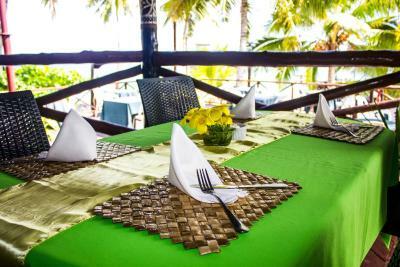 The restaurant and bar is beautifully readied for meals either with/without overhead cover. 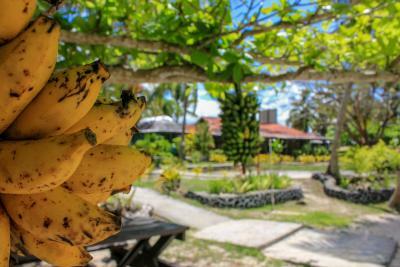 Beautiful fresh fruit for breakfast along with other Samoan flavors was offered. 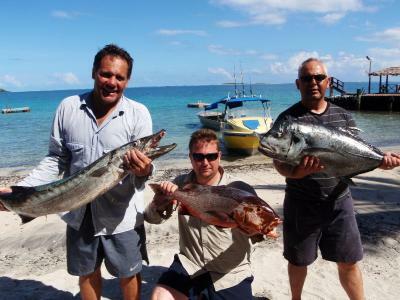 Dinner was nice too especially with the local Niu. More of this as an option nightly/daily will have been appreciated. 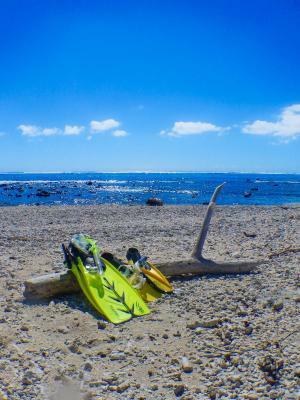 The beach was nice but rocky in some places so swimming shoes are recommended. 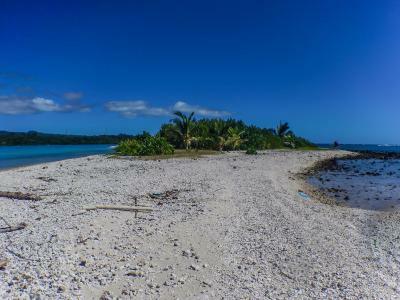 Nice decked path out along part of the beach to a fale is nice. 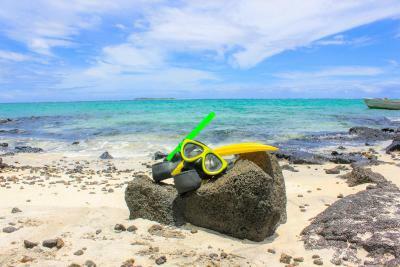 They do offer at an extra charge to take people out to an island for snorkelling weather permitting. We also enjoyed the cocoa processing plant/plantation tour they offered. 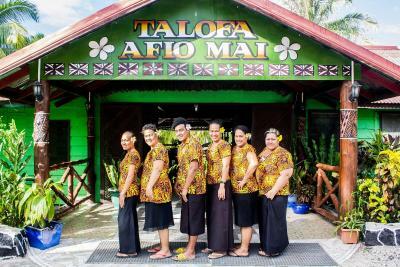 We also appreciated the privacy and security offered by staff not entering our fale without us being present. We loved our time here. The staff were excellent. Our room with the deck over the water at high tide. The location was perfect, wish we could have stayed longer than the 1 night. 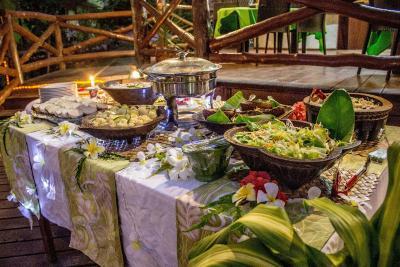 It would have been great to have more local options or variety in the dinner served. We had some version of chicken with pasta or noodles every night for the 4 nights we stayed there which was a bit boring. Beautiful setting in a garden next to the beach. Very peaceful. 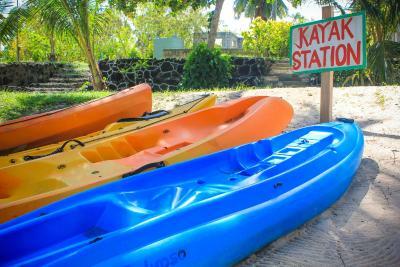 We loved the kayaks and activities available. 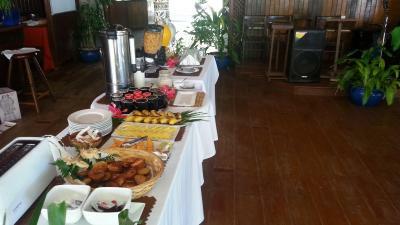 The food was tasty and good portions and breakfast was amazing.